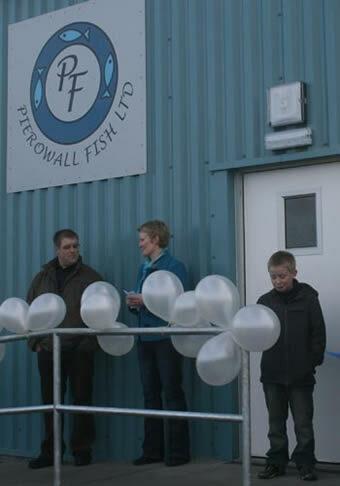 Pierowall Fish Ltd is currently run by Kevin & Ann Rendall who took over from Ann's father John James Fergus in 2008. In September 2009, with partial funding from the EFF, we moved into new premises purpose built to a very high standard. All our fish is hand filleted and cured on the premises. Kevin does most of the fish processing, John James no longer fillets but keeps an eye on us from across the bay. Jean handles local delliveries on Westray and Ann is our resident chef, preparing our delicious ready meals.